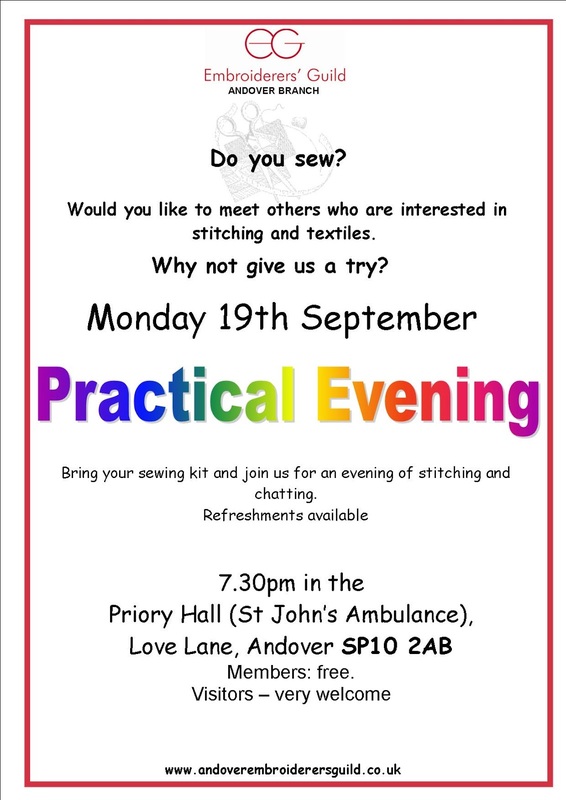 This month we are having a practical evening when we can sit, sew and chat - a good way to get to know other members. The theme of the evening will be a banner in memory of Cindy Rose. 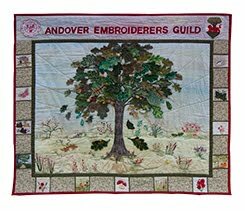 Each person is invited to stitch their own interpretation of a rose within a 10cm square. The fabric will be provided but please bring your sewing kit, threads of your choice and a hoop (if you usually use one plus a base fabric to stitch your square to). There will be some images of roses to inspire you but bring your own if you wish. The finished banner will be on display at our meetings. Also there will be an opportunity to book for the March workshop. This is the poster that is in Andover Library. If you know of any other venue where we could display our posters, please let one of the committee know.